Who doesn't dream of incredible works of art on the walls of their homes or offices to wow their friends while adding a splash of colour? That is definitely one reason to buy art, but according to the Financial Times, art is right up there next to prime property in its list of relatively safe investments for global spending. Contemporary and modernist art sales are on the rise and have realised some of the highest profits, but South African art is also making its presence known in world-famous art auctions. In recent years, South African artists have been commanding record prices, even through times of recession, as they find their own unique niche in the international art world. Unlike other investment assets, pieces of artwork are 100% unique. If you buy an original, you can go to sleep knowing that you are the only one in the world with that particular painting, sculpture, drawing or etching. In this way, the world of art cannot be compared to any other type of investment asset, whether it be real estate, stocks, precious metals or gold. That being said, when buying or selling artwork on the open market, it is highly advisable to go through an informed broker because the value of artwork, like any other investment, seems to rise and fall according to whims or unpredictable changes in fashion. What is “in” today may be “out” tomorrow, making the insights of a professional a must to see an investment safely through any volatility in the market. An informed decision, made through expert advice and thorough research, can protect your investment and raise your purchase from the level of sentimental decoration for your home to an investment grade piece of art that you can enjoy every day while it gradually increases in value. I am very interested in the arts. It is a nice idea to regard the art as the investment. I haven't thought about it before but I will start to take advantage of it. It is really so healthy for one to know these things. Usually, these are overlooked by people who take the interest of buying artwork. I think this article should be read by all people for their added knowledge. Its an interesting thought, investing in art instead of other commodities out there. My sister is an artist but she finds it hard to sell her paintings.In my perspective, not everyone is into art and the world market isn't so friendly. cute art work. Great blog, surely art is a great investment and artists are gifted to get it naturally. Wow, after reading this i want to go to auctions to buy and art from famous artist, if i really lucky, i may be become a rich. Investing in arts seems interesting. I agree that South African art is getting famous nowadays. I like their art. I wish I could have one someday. Yes you are correct, Arts have they own way of drawing attention, when it come to uniqueness and origin, i actually have some dor myself, it came from the Philippines, Its a Hand Sewn, 100 year old Last Supper, the original owner said it came from the 1800th colonizers the Spaniards. According to what I've learnt ,Art sells only if a reputed organization or person is selling it with their logo or signature.For organization the prices vary,and are most of the time not too expensive,yet for recognized artist's the trend seems to change depending on demand, so new art has a chance to be unrecognized not too soon from it's point of fame.Regardless, beauty lies in the eye's of the beholder, so a buyer can always be found, and as the price of paint,canvas and framing rises ,the piece of art it self will also grow in value.So in one way or another it's a gain. if we know the true value of an art we would treasure it for the life time.if the art is real then it will hold its value for all time as the value for an art would never decrease so it is better to have an real art in your hold. 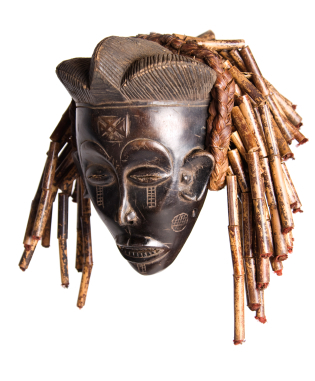 I appreciate your thoughts regarding The South African art and about some of the relevant decisions while purchasing an art one for ourselves. Art has no boundaries! And for all art lovers it is indeed an important task to go through the details before purchasing an art! Art is one of the kind of investment for us, specially for the unique or old enough (rare). Someday we could sell it again with higher price then before. I agree with you that artwork is a good investment but one has to be very careful and seek professional advise when investing. The amount of money that a seller originally paid for art has no bearing on that art's fair market value. Sellers overpay for art all the time and you, as a buyer, are not required to compensate them for their mistakes. An inexperienced person can have a painting for years thinking that it holds great value but upon trying to sell for that value they come to realize that they had been misled by the previous owner. Investing in artworks needs a very good understanding of the arts. Imitators are in operation in this field of unique investments for profits at a later date. Art is a nice way to make the place look nice. But I don't plan on spending a ton of money for pieces of art. I really like the works of South African Art I'm very fond of collecting pictures their items. It is a great when you invest on their artwork. I never thought of art as an investment until I read this article, I always thought of it as a luxury being placed on a luxurious house like those that you see in movies. I'll take this as a note. However, I'm still thinking that Art, paintings, sculpture, etc. still jives with a nice house..
first of all , i just want to mark my appreciation about that well organized article and about the important subject you have chose to talk about , secondly , it's a great pleasure for me to say that i am a big fun of the art in general , and specially the african one , it makes me feel such nostalgia to the nature as a sourse of life , and pushs me to think about all those beautiful things we can made with such simple other things . thank you for giving me that special moment waiting for other exceptional articles .